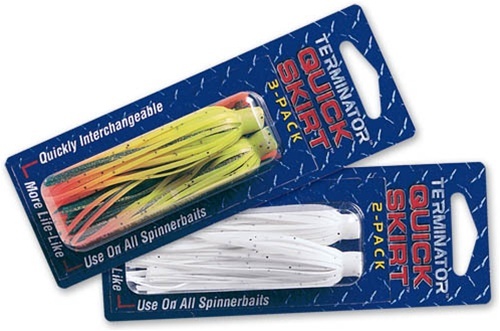 Made famous by the proven Terminator spinnerbaits, the Terminator QuickSkirts make it possible for you to quickly change skirt colors without wasting time or damaging skirts. The action-packed, 60-strand, silicone QuickSkirts are easy-to-change, durable and sport vivid, fish-catching colors that won’t bleed away. 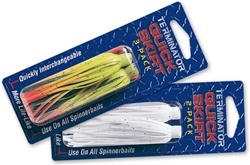 QuickSkirts can be used on most spinnerbaits.